Paper jams happens more often than we like. We all have encountered this common printing issue multiple times either at home or struggling with the printers at work. Why is it so hard for printers to simply print out the documents without causing troubles? While most media are supported by HP printers, such as letter, legal, A4, etc, users must be aware that not all media are supported with every single HP printer trays. Your tray 1 might be ok with printing envelope sized documents but it does not mean tray 2 can do the same too. The media might be crooked or overloaded. Usually there is a maximum stack height mark inside the input tray. Please make sure not to fill the paper over the indicated limit. Most of the time paper jams are caused by the irregularity of the inserted media. Make sure the media is in good condition without damages such as jagged edges, un-smoothed surface, and sheets sticking to each other. Sometimes even printing cartridges, transfer unit, and fuser can cause the paper jam. Make sure each component is installed correctly before processing the print jobs. Cartridges do not last forever, same as printer components. Most of the supply units need to be replaced over a period of time. Users sometimes are not aware of that because these components rarely need to be changed. Check the printer control panel message informing which part needs to be replaced before resuming print jobs. 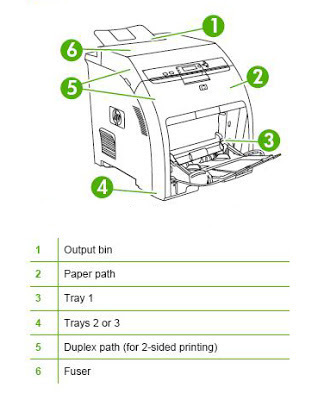 Make sure only remove the media when the printer is not processing documents. 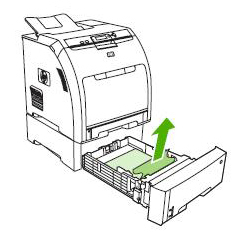 Sometimes when printed documents are taken out from the output pin too early, meaning when the printer is still processing jobs, paper jam might occur. In that case, reset the printer and print the document again. Make sure to remove the media once the print job has completed. Do you have other printer/cartridge inquiries? Simply contact us at sales@toner-spot.com and we will do our best to solve your questions. 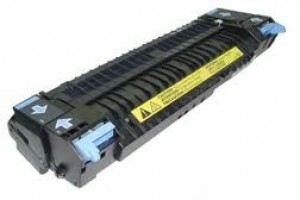 Please visit us at www.toner-spot.com for premium quality re-manufactured toner and drum cartridges. Remember to use the current coupon code BLISS13 to receive 10% off entire purchase. There is no shipping fee for orders over $75 contiguous U.S. states. 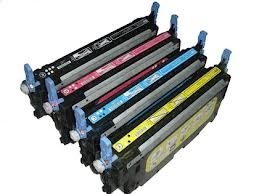 We also carry high quality compatible toner cartridge replacement parts for HP Color LaserJet 3000/3600/3800 Series Printers! Can’t find your product? Simply email us at sales@toner-spot.com and we will find it with a discount code for you! New years sales event is on at www.toner-spot.com! Offer ends by the end of this month! 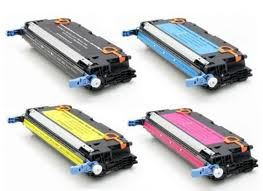 Hurry and stock up on office toner cartridge supplies! Remember to use the coupon code BLISS13 during the check-out process to save 10% off entire purchase. There is no shipping fee for orders over $75 (contiguous U.S. states only). Non-profit organizations and educational institutions are also eligible for special discount rate. Email us at sales@toner-spot.com to receive your own customized price quote today.